“Treat the people’s needs as holy.” – Obery M. Hendricks, Jr. The far-reaching political science book, The Prince by Niccolo Machiavelli, remains a critical piece of literature to discuss modern-day political leadership. I recently re-read it to draw some parallels with Haiti’s current political protests. Of course, Haiti’s crisis goes deeper than Machiavelli’s famous work, but it’s worth exploring, along with other books, to analyze some of the parallels of Haiti’s numerous coups d’état and transitional governments. Haiti’s constitution is modeled after those of France and the United States. These two leading countries have made revolutionary histories along with Haiti. Haiti was the first free black nation in the world, established in 1804, but the country suffers from a lack of both internal and external leadership after that major feat in history. Let’s examine these racial casts. For starters, France and the United States gained their freedom through revolutionary methods. Both countries, though, started out poor and with European roots have managed to develop into first world powers. Haiti, which is made up of mostly black citizens, also made history through revolutionary means, but some of its citizens are eating mud cake for food in 2016. Haiti’s condition has led a large number of its inhabitants to migrate to other countries. The loss of generations of talents through exodus has produced a vast leadership vacuum. We’re witnessing a social political explosion—not only in Haiti, but Brazil, the United States and France, among other countries—because the denizens are reacting to what experts call the push-back of economic slavery. Machiavelli’s book provides a framework to understand the power struggle—the “how” and “who” of Haiti’s selected leadership. In The Prince, Machiavelli referred to those in positions of power as “Princes,” because at the time, kings and monarchs were the rulers. Today, they are replaced with titles such as heads of state, presidents and prime ministers, among others. In 2010-2011, Haiti’s latest presidential elections took place with the support of what is now known as the “Core Group,” made up of five countries (often referred to as the international community, comprising of France, Canada, the United States, Spain and Brazil) that have had a contentious past with Haiti. With no Haitian presence in the Core Group to direct Haiti’s domestic and foreign affairs, some Haitians see the relationship with the country’s “allies” as one of masters and slaves. One can see in the accords with Haiti and the Core Group that many of the elected officials act as political “mammies,” caring more about the foreign masters’ interests than the Haitian people’s national interests. The forceful political meddling has built the frustrations that led the Haitian people to revolt after the fraudulent elections on January 24, 2016. The insurrection was brewing for months when most Haitian citizens realized that the conditions would remain as they’d been five years earlier. The reality of their day-to-day lives came to a head when they concluded that the promises of clean drinking water, quality universal education, and improved transportation systems to increase the country’s capacity for commerce and electricity were false. Meanwhile, they watched how politicians’ personal interests took precedence over their own. In fairness, some lives did change in Haiti, and a handful of people got richer, but the masses were completely excluded. According to Haiti’s final economic outlook over the past five years, the people are poorer. It’s true the country’s political instability has contributed to the economic problems, but all of that demands effective leadership. Still, the country’s current inflation is at 14%, and its economy has deteriorated. Haiti’s currency is trading at 61 Haitian gourdes per 1 U.S. dollar. But also troublesome is the increase in the security problems Haiti currently faces because of its weak judiciary system—which, by the way, is created by design. Chaos is often an indication of failed leadership. The moment an authority figure has created an environment where a majority of the citizens are forced to take their dissatisfactions to the streets to be heard, that leadership has failed. This is evident as Haiti struggles to unchain itself from the ropes of economic oppression in order to appreciate the same type of democracy as some of her neighbors. These two observations have been the standard of political operation and blockage in Haiti. It’s no wonder that the elites, the international community and the masses are in conflict. Haitians have no desire to let foreigners take over their country without an altercation. Meanwhile, most of the outside world doesn’t understand the horrible political and social disruption that a few groups are imposing on the Haitian people. This is in turn driving Haitians to their deaths at seas as they attempt to find lives elsewhere, when in fact they do have a land. I have been hesitant to bring up the racial component of how Haiti is treated by some of its “friends,” but when you start paying attention to the struggle of colored people in the Core Group of countries, you begin to see patterns. It is worthy to note that some of the Core Group members are also some of the permanent members of the United Nations Security Council and have been confronting major social, racial and political uprisings. The question is, can Haiti really expect the relationship with the Core Group to be one of equality when the citizens of color in the Core Group countries are, in general, not treated equally? I’ll let you wrestle with that question. The other question we should ask ourselves is whether or not Haiti’s hope is based solely on these Core Group allies. The role of government and those in power is not to rule by authority alone—the mark of dictatorship rather than democracy—but to train communities … beginning with individuals and ending there again, to rule themselves.” Above all, the task of democratic leadership is to bind “all nations, [in the case of Haiti, all provinces] all men, of however various and distant lands, into a brotherhood, a family. Haiti needs global support to unleash itself from these oppressive economic chains. There needs to be a universal movement similar to what occurred during the destabilization of apartheid in Africa, and what we are currently witnessing in the United States with the Black Lives Matter movement, which confronts the devastation of young black men lost to a prison system for profit. One has to question, is it a coincidence that those who are historically oppressed in these various countries are of African descent? To illustrate this point, we’ll briefly discuss the United Nations’ negligence, which allowed its peacekeepers to infect one of Haiti’s largest rivers with a fatal cholera bacteria disease. The United Nations (UN) cholera crisis has sickened over 700 thousand Haitians. A few Haitian health experts believe that number of victims has exceeded 1 million people because of Haiti’s inability to track its citizens’ poor healthcare infrastructure. Moreover, over 9,000 Haitians have died, and the United Nations has shown no urgency in fixing the problem it has created. In fact, the common United Nations’ response is to plead immunity rather than taking responsibility for bringing cholera to Haiti. Some Haitians are asking if these events had taken place in Russia or Japan, for example, would treatment of the people have been the same? The past should influence our level of attention when it comes to human ills. Baldwin rightly reminds us, “… six million Jews were murdered in Germany … while the entire nation was out to lunch.” Paths are created daily in an effort to displace Haitians or in an attempt to terminate a people whom many see as weak. History is full of leaders who have gotten things done. But it takes more than a title, position and money to change a country’s course of history—it takes guts, self-knowledge and a special kind of intelligence. This good judgment is a combination of skills that few possess, but most can acquire if they are willing. And “what may be called intelligence doesn’t start in the mind, it starts in the heart and the guts,” emphasizes Baldwin. The future of Haiti will depend on leaders who have the mind, the heart, the conviction and the guts to liberate Haiti like its 1804 leaders. Below are five lessons that Haitian political leaders will need to think about if they want to deviate from Haiti’s current state of economic oppression. A common failure for leaders is the inability to recognize whom they serve. You need to understand that social change and worldwide discontent of the oppressed and vulnerable have the power to quickly rise against established powers. As a leader, you can’t assume that the people who are paying to put you in power are all you need. Money is not a long-term guarantee to sustain your power. Yes, you need money, but you also need the support of the proletariat. We’ve recently witnessed how millions of dollars were spent in Haiti’s elections, and the common people could not be silenced, no matter what kind of military intimidation they faced. “For however strong you may be in respect of your army, it is essential that in entering (leading) a … country, you should have the good will of is inhabitants,” affirmed Machiavelli. This is a lesson that, in spite of some intelligent people directing Haitian political affairs, elected officials repeatedly fail to learn. Machiavelli explained that there are two ways to become a Prince or in the case of Haiti, a president: one by “merit and … good fortune,” and two, by “the aid of others and… good fortune.” Haiti has not been able to accomplish either of the two. I am making an assumption here that a leader is elected by merit and the aid of the people. As a leader, your motivation to remove Haiti from this “political mammies” state is recognition that the country has a tortured soul, and if, as an authority figure, you support the political standing, you’ll prolong the country’s torment. You have to make a decision that you will build on a solid foundation. Machiavelli admitted, “A prince must lay solid foundations, since otherwise he will inevitably be destroyed.” Begin with the end in mind by prioritizing the work that will yield a solid foundation. Focus on developing the people—for that is Haiti’s best hope and long-term stability. A president should never be seduced into thinking that any economic development tourism projects presented by foreign investors under the pretext of job creation are in the best interest of the Haitian people. There is no empirical or physical evidence that these investors have created jobs anywhere. Anyone who brings such proposals must also bring hard data proving these reported successes. A leader should work with foreigners with the understanding that if they want to work with Haiti, it does not include seizing lands. Imagine a Chinese firm coming to Detroit (one of the most severely economically depressed places in the United States), to build a business, and part of the contract is to buy the state of Michigan. It’s fair to say that request would not go well with U.S. citizens, and Haitians should stop such proposals, too, unless the benefits are clearly in the interest of the masses, not just a handful of consultants and foreign double-dealers. Successful organizations are typically led by exceptional leaders, so how much more a country? I appreciate my fellow Haitians, but there are some people in Haiti that a tier three non-profit organization in an advanced country would never hire to lead that organization. In Haiti, however, everyone seems qualified to lead or get elected at the highest level, regardless of how questionable that individual’s character is. The main complaint against Haiti’s judicial system is that those who should enforce the law are the country’s main problems. Part of a leader’s job is first to lead with integrity and second to minimize political drama by surrounding oneself with people who are well-respected by the people in the community. A leader with courage governs by doing what is right by the people who have elected them, not only a few of them. And one of those things is to provide security for the country. One way to do that is to enforce Haiti’s constitution and build the country’s judicial system. A leader can only enforce the law if he or she has nothing to hide, and if the leader believes in transparency. After all, if someone is dishonest, the last thing he wants to do is reform, but without reform there is no stability. The new generation of Haitians should continue to mobilize to appeal for accountability and transparency from their leaders. 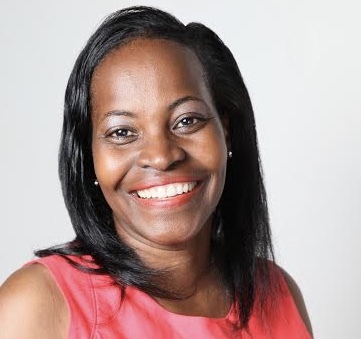 Laurette M. Backer, a leading voice and a Haitian analyst is advancing the conversation of transparency in Haiti. More people need to join her effort. Both father and son of the Duvalier regimes were known not only for governing ruthlessly, but also for running an exclusive, male-dominated government. Ruling ruthlessly and creating a culture of fear and oppression are recipes for calamity. Margaret Mead points out, “The people at the bottom have always had the power of nothing to lose.” It is better to create a partnership and adopt a collaborative model of leadership. Another benefit of embracing this style of leadership is how it will prepare you to work with leaders from around the world, not to mention winning the support of the Haitian diaspora. The concept of diverse leadership, where men and women are treated with respect and are given equal opportunities, should be a strong focus. According to Haiti’s constitution, Article 17.1 states that women should make up 30% of jobs at all levels of national life. Yet, one Haitian newspaper informs us, “Haiti is one of five countries in the world without women in Parliament.” Haiti must address its gender inequality problem, or the country indeed will remain in the dark ages. The leadership ideas I’ve mentioned here are meant to fuel the discussion of what we need to understand and expect from those who say they want to change Haiti. If Haiti’s leaders choose to begin with a few of the fundamentals, then the country has a chance to emerge as a bright light in the Caribbean. The same way Napoléon Bonaparte, France’s former military leader and emperor, could not secure himself against Haiti’s 1804 disaffected leaders and people, one hopes that there are still Haitian leaders today with the same mind, heart and guts to help liberate Haiti.